Licensing requirements for contractors operating in California is fairly straightforward. If your job exceeds $500 on a single project or on multiple project for the same customer, your business needs to be licensed. California’s Contractors State Licensing Board (CSLB) does a better job than many other states when it comes to explaining licensing requirements. Any contractor (big or small) can visit the California CSLB and find out what their requirements are and the penalties imposed if you try and circumvent those requirements. Practically every part of the licensing process can be completed online which allows most contractors to handle the licensing process instead of paying a third-party to walk them through the process. All contractors should pay special attention to California’s requirement for a licensing bond and workers’ compensation insurance. Although your California license requires a licensing bond and proof or workers’ compensation insurance, California contractors should mitigate (reduce) their financial risk of a claim using an affordable commercial insurance portfolio from Fairbanks Insurance Brokers. Since the California licensing board will require this coverage for every contractor, you should spend some time with Fairbanks Insurance Brokers to make sure your workers’ comp policy is written using the proper classes so that the premiums you pay are based on your company’s actual risk. 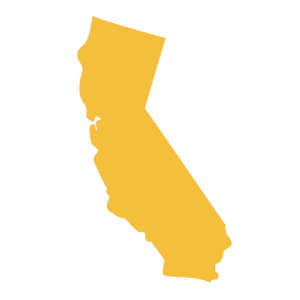 California is an Independent Bureau State which means that all rules, regulations, and classifications are established by the Workers Compensation Rating Bureau of California. California contractors use different kinds of vehicles for their business operations and as such, they need commercial auto insurance because it offers liability limits, no limit on the number of vehicles on a policy, and no limit to the number of drivers to be insured. Never trust your commercial vehicles to a personal auto policy. Your business’ tools and equipment are expensive and important. You can financially protect your business is this equipment is damaged or stolen and must be repaired or replaced. It’s easy to confuse surety bonds with insurance because they are in place to pay your customer is you do not abide by the rules of the project contract. They are not the same, however, and the professionals at Fairbanks Insurance Brokers are happy to discuss your bond needs for any project.